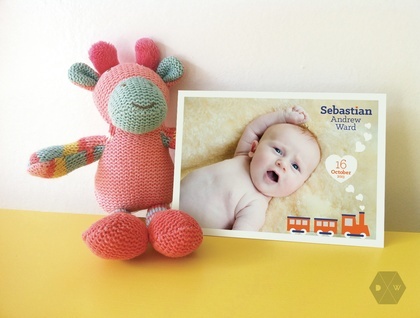 Send out these cute postcards to family and friends to announce the arrival of your gorgeous new baby or to say thank you for the lovely gift you received. Your photograph can be either landscape or portrait and I will lay out the details to fit either way. I will email a PDF proof to you for approval before printing. Please allow up to 2 weeks for printing and delivery. Digital print on 350gsm glossy card. A6 size (148mm x 105mm). This listing is for 50 postcards. 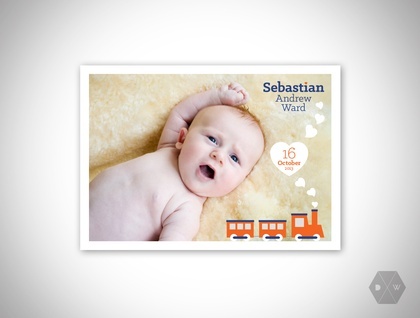 See my other listings for matching baby birth details prints.